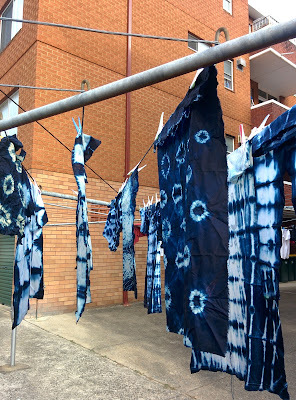 On Sunday a few friends and I had a Shibori workshop day, the first of it's kind in Workshop 11! 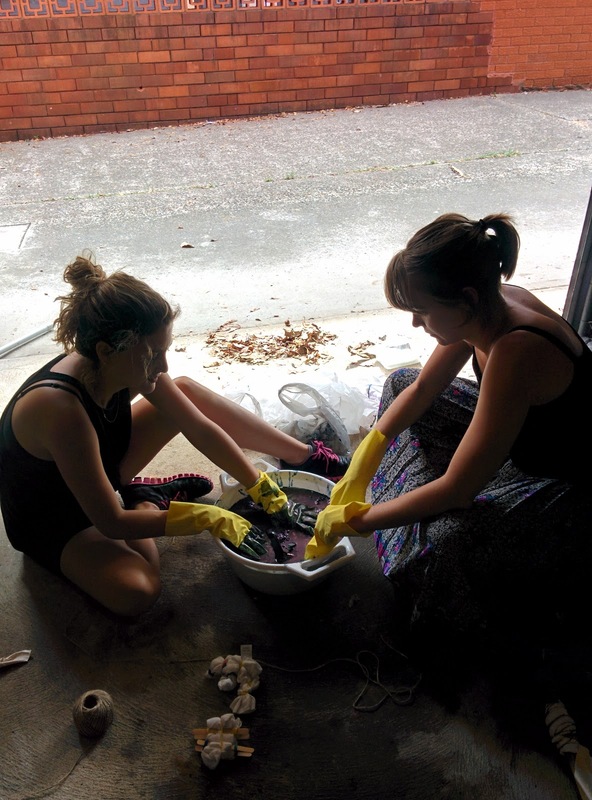 That is the little name I am giving our new garage/studio space.... 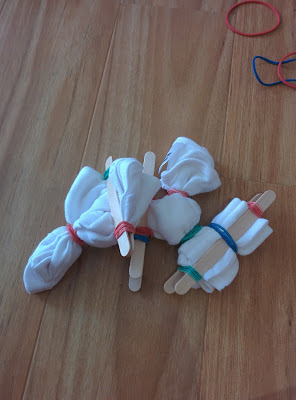 I am pretty excited about having somewhere to get really messy and make/build lots of fun stuff! 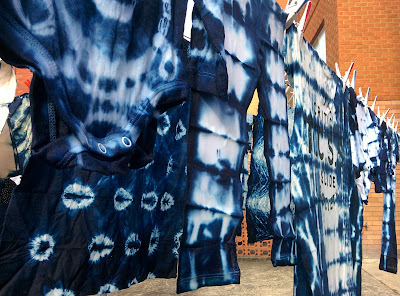 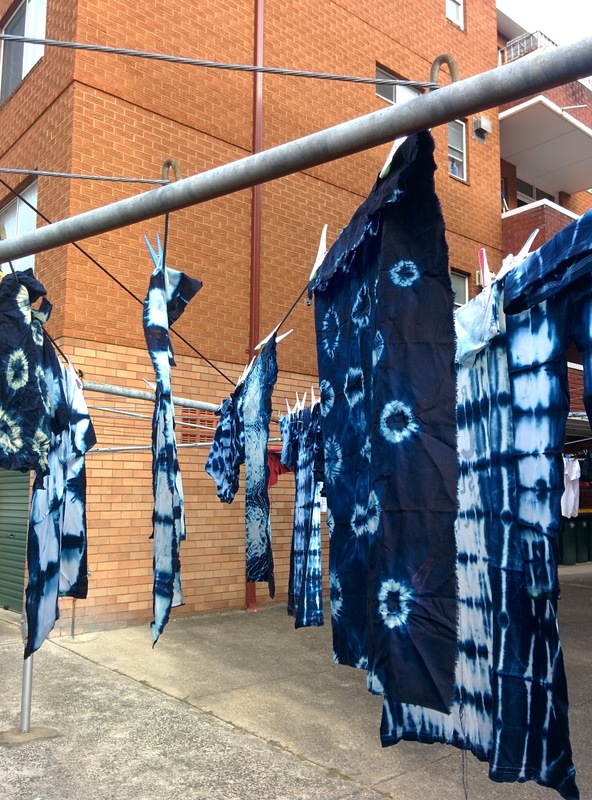 Shibori is the Japanese term for what the west commonly calls Tie-Dye. It has become super trendy and perhaps even mainstream yet the more sophisticated Indigo coloured hues are certainly a grown up version that work in the current world of both interiors and fashion. 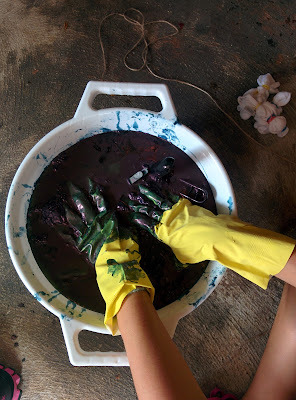 I loved getting messy and we were all so excited unwrapping our creations, there is something magical about the waiting process and it takes less than half an hour before you can see your results! 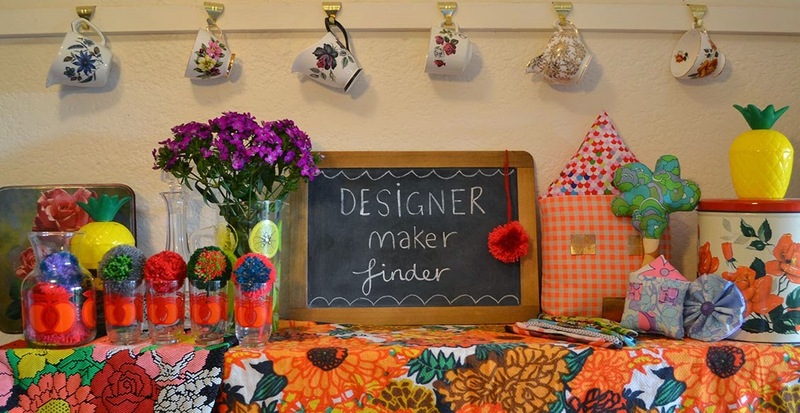 I am pretty impatient so this is excellent news for me.. 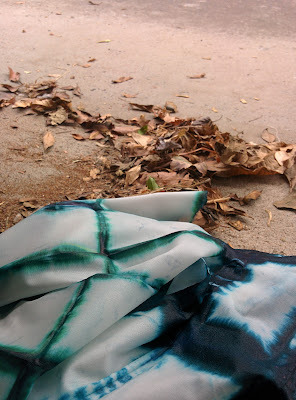 There are 5 main ways in which you can manipulate the fabric: Miura, Kumo, Nui, Arashi and Itajime. 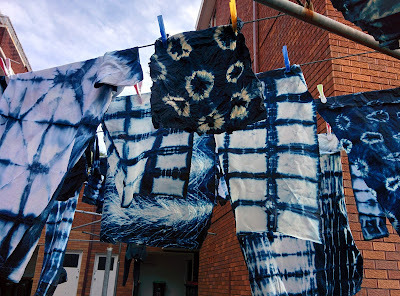 Have a further read if you fancy! 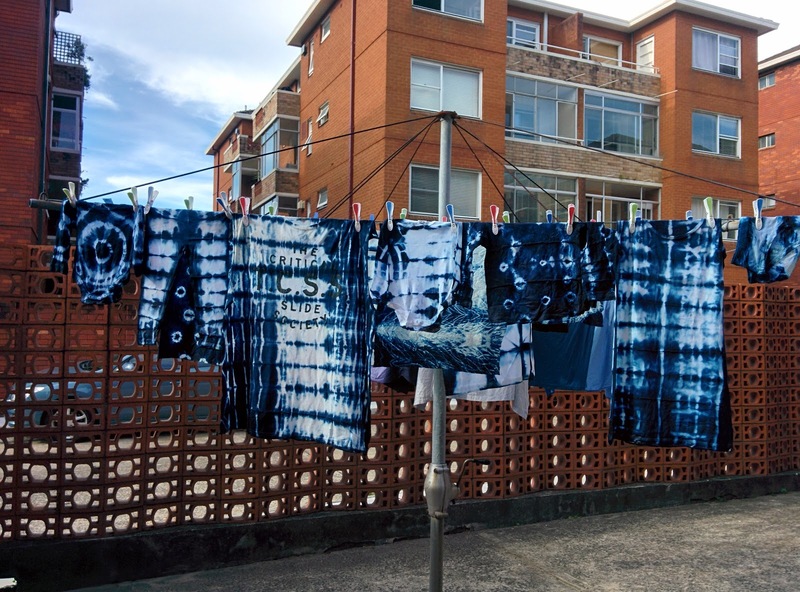 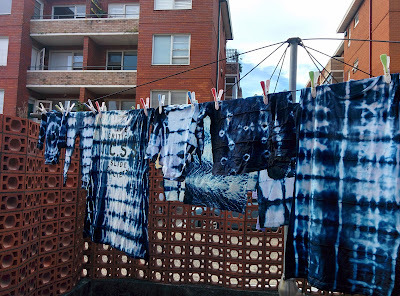 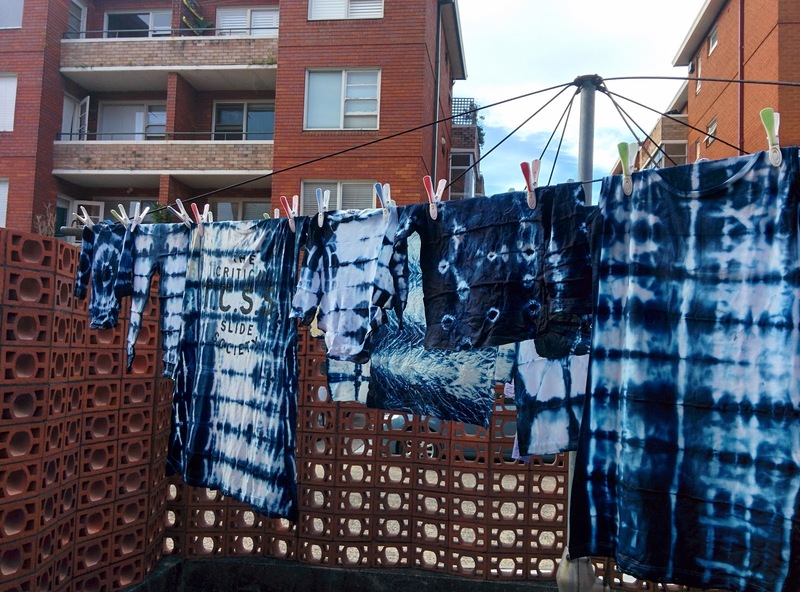 My fellow Sydney creative chum Jessica organ is teaching a workshop in Shibori at MakerSpace, a fab new creative community style studio space and if you fancy signing up you can do so here!